Welcome to Rise & Shine Window Cleaning. 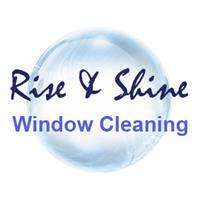 Rise and Shine is a family run business providing window, gutter and conservatory cleaning and other services to the Andover and Winchester areas. We have been running for over 5 years and have had previous experience in the trade. Offering a professional service at competitive prices we want to build our always growing reputation in our local area, Our equipment is always being updated so that we ensure we can deliver the highest quality in every service provided. We will never use anything but 100% pure water to give you a streak free clean every time.